Farming Without Owning Land, How Is That Possible? Farming without owning land: The statement itself seems like a contradiction in terms. After all, homeownership -- often accompanied by a spacious backyard -- is amongst our most common and cherished dreams. And what is a farm, exactly, if not a home with a backyard? Okay, okay. A big backyard. Still, whether we dream of neatly trimmed lawns or hundred-acre tomato fields, the philosophy remains much the same. Owning property is a lifelong goal for farmers and non-farmers alike, even if the scales are demonstrably different. What happens, however, when someone wants to farm -- and has the requisite experience, passion and work ethic -- but land ownership is economically out of reach? Picturing a farm, we typically imagine wide open spaces far out in the country. But even urban greenhouses and hydroponic operations require a physical footprint, a tangible connection to the land. In other words, no matter how innovative a farmer might be, they probably won't be growing truckloads of cucumbers in a fifth floor apartment. Perhaps unexpectedly, it's our cultural drive for single-family homeownership that's created difficulties for farmers far and wide. For older, well-established farmers who already own their property, the pressure of high property taxes, shrinking wages and rising land prices, provides a perfect storm to sell their land and retire. As collateral damage, this creates an ever shrinking, ever more expensive land supply for new farmers. Already burdened with the economic uncertainty that comes with a farming career, they now face economic headwinds of land that's become priced for growing houses, not food. As a result, for a new generation of farmers who insist on following their dreams, the time has come to get creative. In the Washington DC area, farmers Eric Plaksin and Rachel Bynum finished a multi-year vegetable apprenticeship, but knew that the price of land in the area -- many tens of thousands of dollars per acre in the suburban-dense region -- made financing and purchasing nearly impossible. Factor in a house for them to live in, as well a location within a reasonable distance to a customer base, and their farming ambitions quickly became a moon shot. The solution? A 40-year lease with an older farmer whose children, like so many farm kids nationwide, weren't interested in a career in agriculture. The decades-long timeframe gave the new farmers the confidence to grow their business, expand their revenue base, and build equity by constructing their own house, one that will eventually be purchased back by the landowner. For these farmers, it's the next best thing to land ownership, and long-term vision has been factored into every detail. In Detroit, a declining population and soaring rates of foreclosures have provided unique opportunities for farmers to reclaim urban acreage. 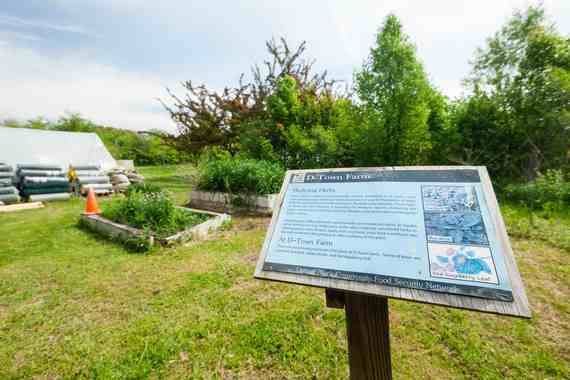 For D-Town Farm, this took the form of procuring a 10-year lease from the city for seven acres of park land, acreage that was otherwise being under-managed in the wake of a diminishing tax base. Today, the farm grows vegetables for sale at Detroit-area farmers markets, as well as provides educational programs for area school children. The terms of the lease? One dollar per year. 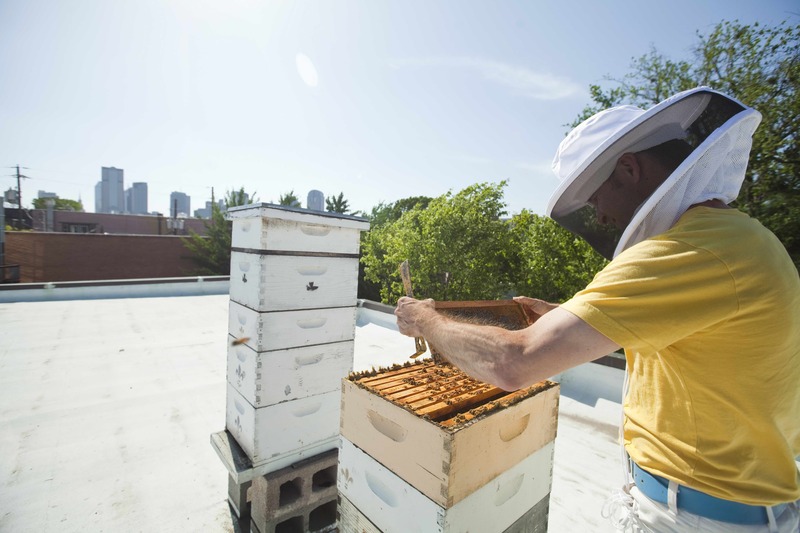 In downtown Dallas, urban beekeepers Susan and Brandon Pollard place honeybee hives on hotel rooftops and in gardens throughout the city, producing "Zip Code" honey, rent-free, throughout the city. After a decade of success, local businesses now compete to have the Texas Honeybee Guild hives placed on their roofs. No land ownership required. 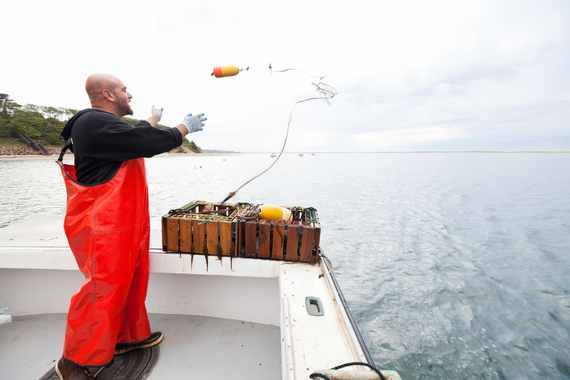 And on Cape Cod, sustainable fisherman Nick Muto "farms" the bottom of the Atlantic for lobsters, owning a commercial vessel and requisite licenses, but no acreage. To read more about Nick, D-Town, the Texas Honeybee Guild and other inspiring producers, you can check out my new book. While it's understandable that some farmers will seek the traditional path of owning their own land, over the past century, as demographics have shifted towards non-farming jobs, banks have evolved accordingly. Today, mortgages and commercial loans dominate the lending landscape, and in many cases, farmers would probably have better luck hitting the Powerball than securing a long-term loan at a mainstream bank. Historically, this has been a void filled by the Federal Farm Services Agency, but these loans come with prequalifying stipulations that not all individuals qualify for. This is where independent agricultural-focused lenders such as AgAmerica have emerged to fill a need, understanding the unique circumstances of contemporary farmers, and building a diverse track record of success stories. Naturally, everyone needs a place to call home. But we also must eat. In a cultural landscape where fewer than two percent of Americans now grow food for a living -- coupled with the average age of farmers at 56 -- a need for rapid, creative solutions is now at hand. These are fundamental statistics that affect us all, not just farmers. Our response will effect how we eat for generations to come.